The Romitorio vineyards, abandoned for decades, were replanted with courage and far-sightedness by Sandro Chia in the second half of the eighties. 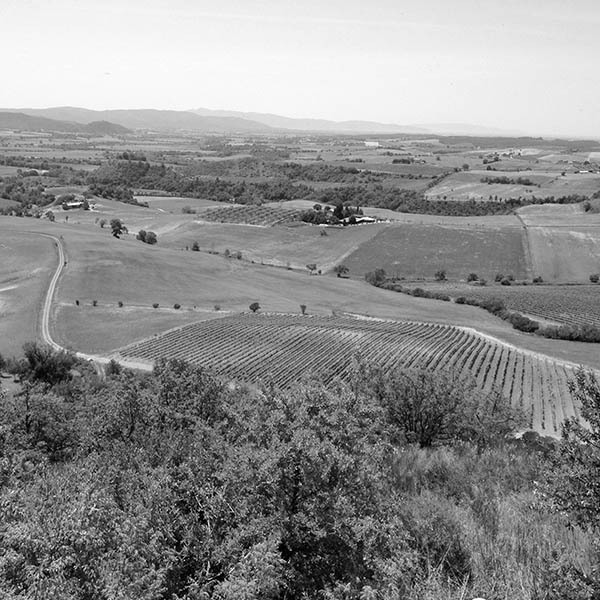 The Romitorio landscape, on which very few would have wagered, was a wild area of Montalcino characterized by a microclimate with slopes that received less sun and where average temperatures were colder than the rest of the appellation. 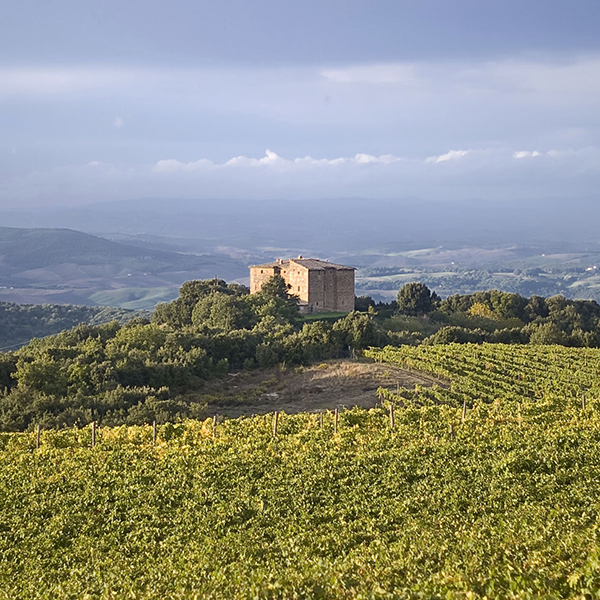 Located in the northwest of Montalcino, the Romitorio vineyards surround the Castle on a hill that, coming down from Monte Amiato towards Siena, runs parallel with the Montalcino slopes. They are small plots of land among hectares of virgin woods, interspersed with ponds and streams of crystal clear water. A completely unspoilt landscape with galestro, clay and albarese soils, from which fossils and shells emerge, evidence of an ancient coastal seabed. The wines produced here are fresh and fruity, incredibly fragrant, moderately alcoholic and of unequalled refinement, with a salty note and a dynamic, vivacious character. Castello Romitorio’s second estate is Ghiaccio Forte, acquired in 1999 and situated in Scansano, Grosseto. The estate takes its name from the ancient Etruscan settlement of Ghiaccio Forte, the ruins of which are located a short distance from the winery. The Scansano area, with its bare hills and unspoiled nature, stands about 150 metres above sea level, and is only 25 kilometres from the Tyrrhenian Sea. Altitude, a southwesterly exposure and volcanic soil create a unique microclimate that produces refined, elegant wines that express the versatility and multifaceted nature of the Sangiovese grape.